With just three weeks to go until All Hallow's Eve, it's almost time to gather 'round your TV set for this year's horror-thon, and we're here with our annual list of suggestions that'll keep you up all night long. 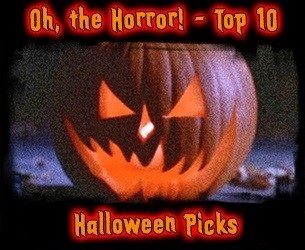 Click here to view the 2013 edition of our Top 10 flicks to watch on Halloween. And if you're the type that just can't get enough and want to do it all again, check out our 2008, 2009, 2010, 2011, and 2012 lists for more ideas!